Everyone loves owning a house, but even if you’re renting a house there are naturally things that you will want to do in order to turn it into a home that you can be proud of. Unfortunately, in order to complete this mission you’ll need money, but not just any money. You will need to have enough extra to cover not only your decorating ideas but also the other responsibilities of everyday life. Does it really have to always be a question of one over the other? In other words, do we only become successful homeowners and tenants if we skip the fun and only focus on the bills? This is truly not the case at all. In fact, if you really think about it you’ll find that you’ll be able to get both aspects of your overall agenda completed with the addition of a powerful tool: credit cards, of course. Now, a lot of people think that credit cards are evil and that’s just not the case at all. 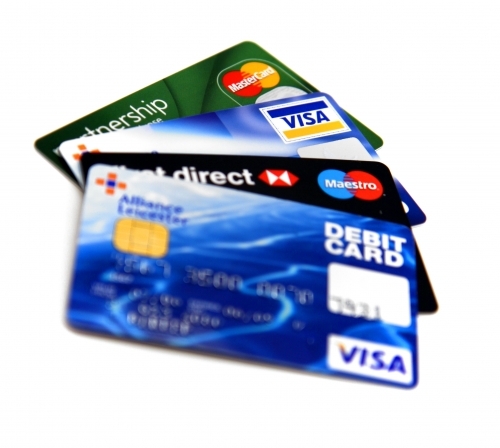 You have to understand that credit cards are designed to make your life easier, not harder. You are essentially taking out a loan with the credit card company, to be paid back within 30 days. This gives you time to have the money up front for all of your purchases, and still plenty of time to take care of the bills that follow. Why would you want to dip into your savings when you already have credit cards right there waiting for you? Your savings should be used for emergency items that need large sums of cash right away. That type of liquidity is precious. If you can leverage someone else’s money to get what you want, then you should definitely do that. There are limits, of course. You want to make sure that you don’t bite off more debt than you can handle. That road only leads to trouble, because you will struggle to pay everything back within a certain amount of time. Indeed, you want to keep your amounts low enough that when it comes time to pay the credit cards, you can offer much more than just the minimum payment due — that’s actually how people get themselves into trouble to begin with. Overall, if you’re really thinking about trying to turn your house into a home, credit cards are definitely the best way to go — why not use yours today? Even if you don’t have a credit card, going to your bank is the fastest way to get a great credit card with a good, modest interest rate. Don’t be afraid to apply today!